Are you looking for the best iPhone games? You came to the right place then? 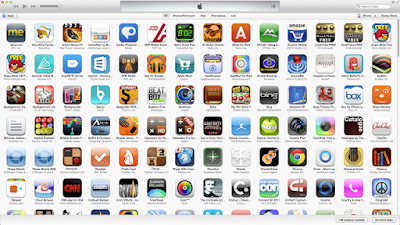 There are so many amazing games to play on iOS platform in each category. It could be very tedious to find your favorite game out of so many choices most likely. No need to worry. I have made a list of the best upcoming iPhone games to save your valuable time. So, I am going to tell you top 5 upcoming iPhone games in this article. Without any further ado let’s take a look at these games. Keep reading till the end. Let’s go. Forma.8 travelled to an unknown alien planet where he got separated from his team by an unfortunate event during life or death mission. Now, he must seek and retrieve a potent energy source beneath the surface within time. Ancient civilizations, great perils and dystopian visions are waiting for him. It lets you fly in mid-air with a control mode. The hero begins this game with no powers, weapons and no hints whatsoever. You need to discover everything all by yourself without knowing the surroundings. There is no conversation in this game. You have to comprehend everything from the images and sounds. It has a mix of hand drawn vector arts and 3D elements within the world of forma.8. You would enjoy it on your Apple iPhone for sure. You will love 'The Bunker' from Green Man Gaming if you like survival games. You are only remaining survivor in a nuclear bunker, but after 30 years everything came above the ground. All of his companions has no more, and their dead bodies are kept in a cold room. Your daily schedule is to keep yourself calm. But it's not easy when an alarm rang as your mind begun to explode. You have to find the deepest and darkest memories about to uncover the most horrifying truth about this game. The Bunker is an action game, Adam Brown and Sarah Greene in the central role. Players must find clues to escape from this hell, Bunker. As a player, you have to make hasty decisions or else your character's life is going to be in danger. It lets you go anywhere, opening doors, gathering items, discovering private locations and everything else which you can do in a real world. Potion Explosion is a puzzle type game to play in single or multiplayer mode. In this game, you are a student of the Horribilorum Sorcery Academy, and you have to prove yourself by making as many potions as you can. Player must show their skill to win skill tokens with various types of potions. Learn to collect the most skill tokens for winning this game and become a Potion Master. You can follow the official tutorial to figure out the hidden secrets of Potions and remember it before going to the exam. Potion Explosion is a fantasy (wizard) game for the Magic lovers. Tokyo-Ghoul is a very popular anime series. This game is adapted from the anime and Manga (Japanese comics) series. It takes place in a fictional Tokyo where ghouls exist (monsters look like humans). People are living in fear of Ghouls as these monsters survive on human lives. The Commission of Counter Ghoul (CCG) forces are the only hope to fight for humanity. Tokyo-ghoul: Dark War is a thrilling action game to save the human from the Ghouls. You have to choose a side, and the battles will take place upon your choice. It’s not same as other RPGs and action games as you are fighting here to protect humanity. after that mini militia hack version download for free. if you want to track anyone and trace location of anyone who scammed with you. then you will use mspy apk for android. if you want mspy apk cracked then also download from here. if your getting bored then you will download these best game wwe immortals android apk and Geometry Dash 2.1 apk. you will play this game on your device for free of cost. Earn online gold and unlimited money. if you really want to earn then you should play glu credits patcher game on your device. you should also install glu credits patcher for d day. full version glu credits patcher apk download for free. The stakes couldn't be higher than this situation. As a single player, you will face an assault from Ghouls, and you are the only hope to protect others. It has two multiplayer modes. First, you have one vs. one where you can fight against other players to determine the most dominant squad. The other multiplayer mode is about 1v1, 3v3, or 5v5 matches against other teams where you will try to eliminate other players from the enemy team. I am ending the list with this one with One Piece Thousand Storm. It has every features from one of your favorite Straw Hat Pirates from the thrilling "2 Years Ago" and "New World” tale arcs. Face the opponent territory by a crew of 3 players from your team in this team clash RPG of pirate war. Experience again the amazing adventure and cruise throughout the globe of One Piece.